Day #10: Civvatavechia, Italy “Ultimate Rome”: I spent a lot of time pre-cruise agonizing over this tour. It was one of the most expensive and it promised to do a lot in one day. Maybe too much, I thought. But it was the only tour that went inside the coluseum which is one of the things I really wanted to do so I sucked it up and paid the fare. 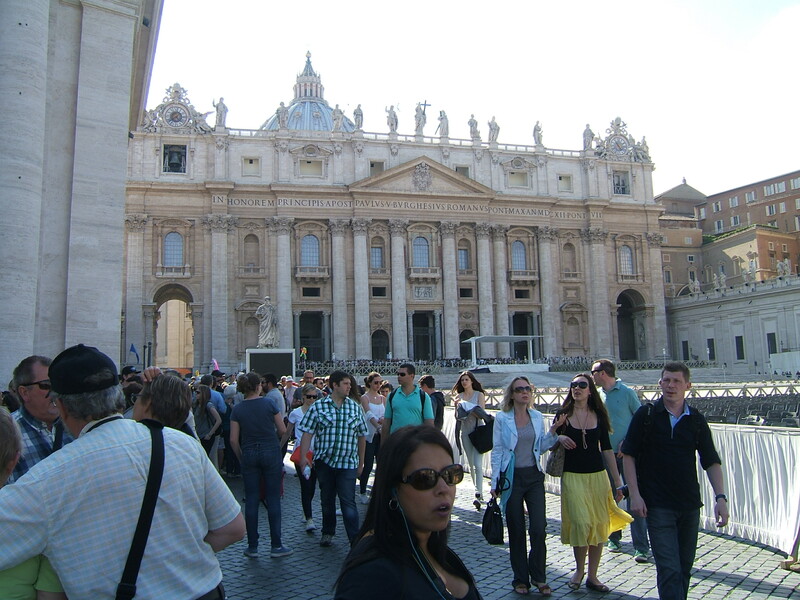 This was a small group tour of 15 which shared a bus to Rome with another small group. Halfway through the drive we stopped at a gas station/convenience store to use the restrooms. Once in Rome the two groups split off to go in different directions. First stop was my most anticipated inside visit to the Coluseum. The walk through the Coluseum was amazing. You could really get a feel for the crowds of ancient times and the excitement that must have permeated the building. 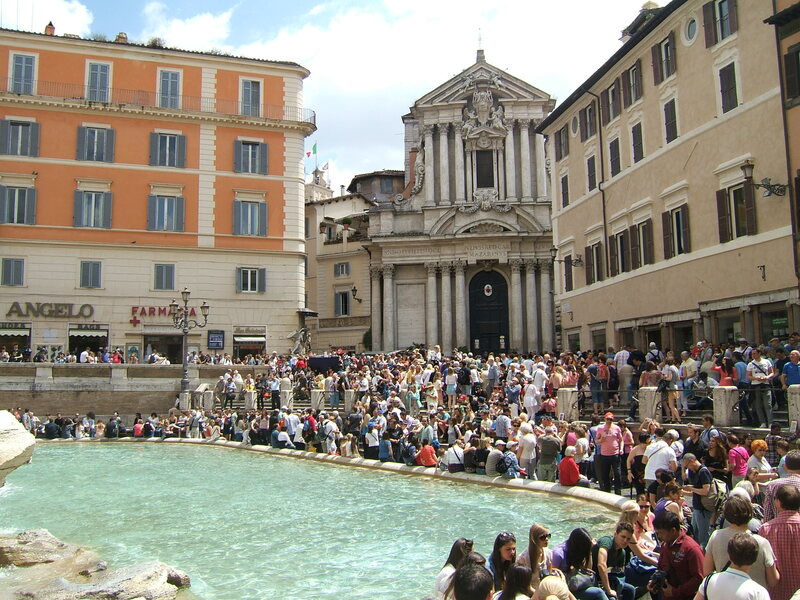 We spent about 45 minutes here before reboarding the bus and driving to the Trevi Fountain. The fountain was very crowded. It was just the beginning of the heavy crowds we would encounter that day. At the fountain we were given 45 minutes of free time to grab something to eat. There are restaurants around the fountain area to sit down and eat but we thought that might take too long so we just grabbed a slice of pizza. The meeting point was at a gift shop where we could use the restrooms. We met at 1:15 and from there walked to the Pantheon. This is a beautiful building. The dome is open at the top because the builders didn’t understand how to close it. When it rains the rain comes in and enters a drain in the floor. We reboarded the bus and this time had to leave all of our bags and belongings on the bus because bags bigger than a small purse can’t be taken into the Vatican. Our walk through the Vatican Museum started with a long and tiring climb up a multi-story ramp. Then our guide led us to many different pieces of art and gave a description of each one. The crowds were ridiculously large and the museum and Sistine Chapel were wall to wall people making the visit quite uncomfortable. 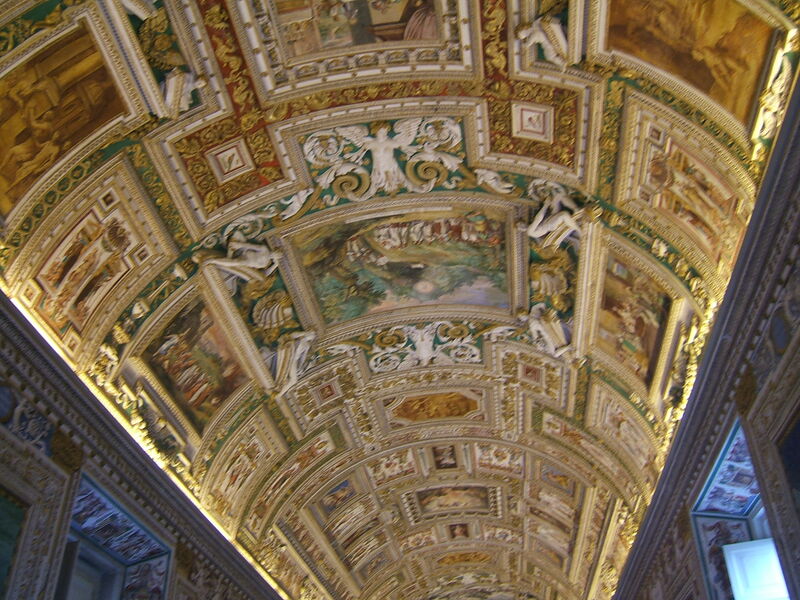 In the Sistine Chapel we gathered in the middle of the floor and just looked up and stared at the beautiful ceiling. 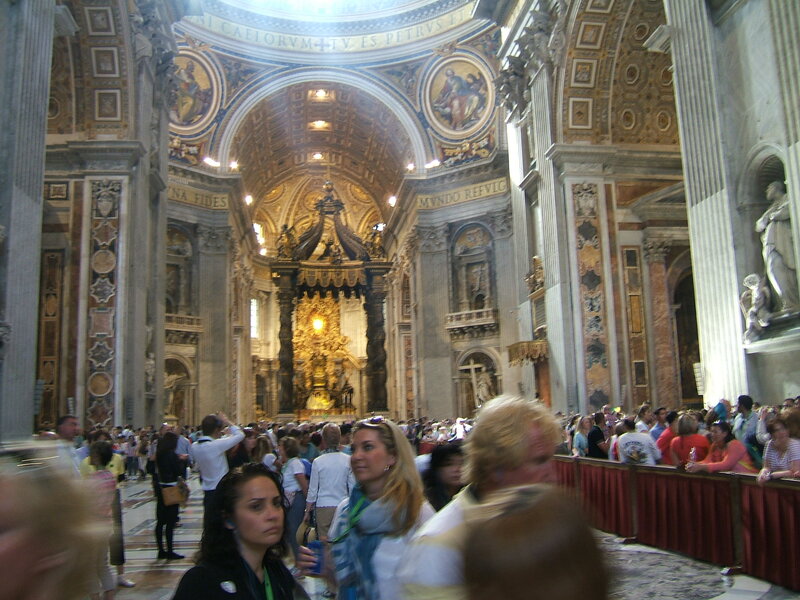 Upon leaving the Sistine Chapel we entered St. Peter’s Basilica. Again, the crowds were a problem. It was slow going entering. But who would have thought we’d have more problems getting OUT of the Basilica than we had getting into it? As we left the basilica to go out into the square the crowd was huge and pressing and it was impossible to keep our group together. It took us a half hour, packed shoulder to shoulder, to shuffle our way out the door. A young man from our group, George, was next to me. I grabbed onto the back of his shirt and Doc grabbed onto me so that if we got lost from our group we’d at least be lost together! George was very tall and able to see over the other heads in the crowd and he managed to locate our group waiting in the square. Getting to them through the crowd however, was slow going. When we finally managed to escape and get our group together we were way behind schedule. We made a quick stop at a crowded gift shop so that people could use the restrooms. As I had no interest in buying religious souvenirs which is all the shop sold, I waited outside. We met again 10 minutes later and walked to the bus. We were a half hour late getting back to the ship but since we were on a ship’s tour it wasn’t a problem. Other buses were also very late, some much later than us because of being stuck in traffic, and the ship didn’t leave port until nearly 2 hours later than planned. 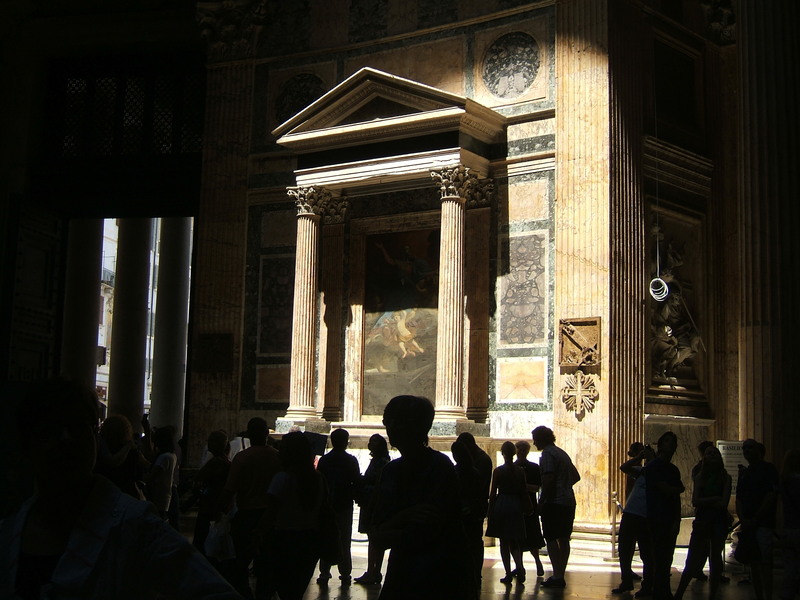 Although I was happy to be able to say that I have finally visited Rome, the crowds made the experience impossible to enjoy and we wished we had chosen a different tour. It was early May, not even peak tourist season. 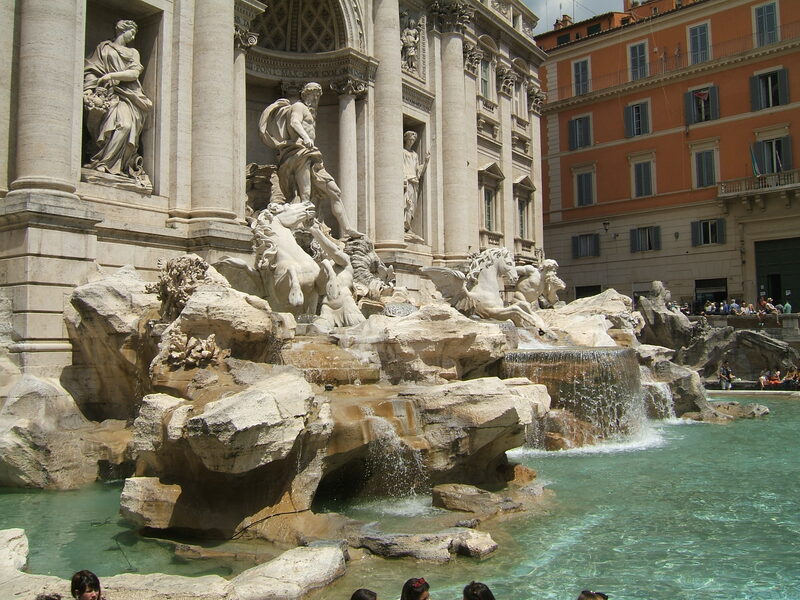 My advice for those traveling in the summer is to choose one of the tours that go somewhere outside of Rome.